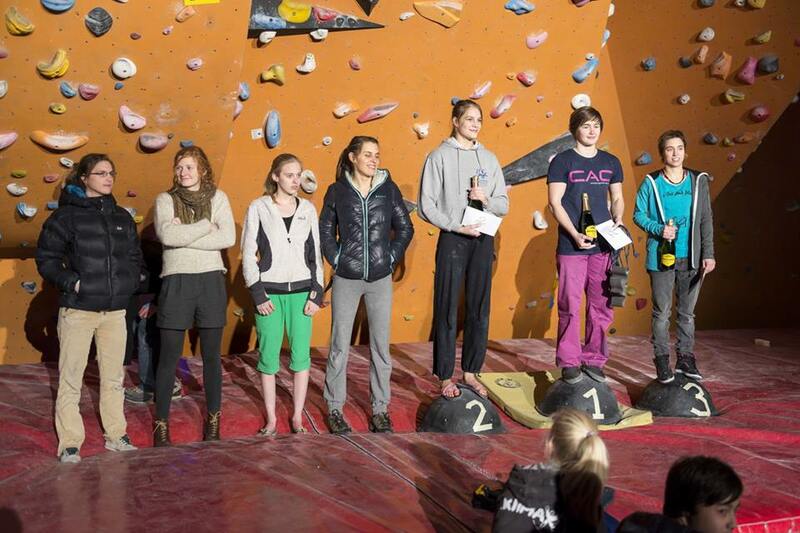 Saturday was Christmas Women’s Open, a boulder competition only for women. 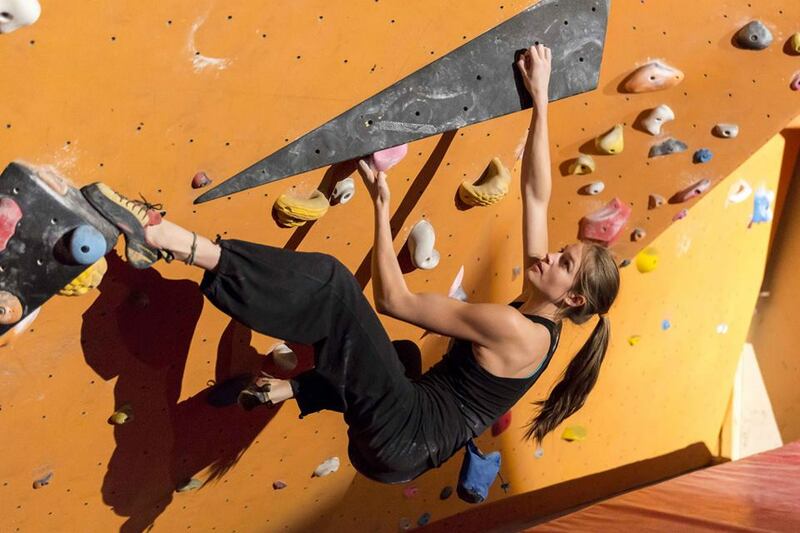 There were 40 boulders for everyone and from the colour red on it counted to be in the finals, which meant you didn’t need to climb the easy ones to be sure of your place in the finals. I warmed up first but a bit too quickly, which made me climb the first 3 red boulders very clumsily. Then I decided to take a grade easier and begin again with warm-up. After this, I wasn’t clumsy anymore. My climbing was under control. The boulders were very nice. I didn’t do 2 of the black routes. So in a few days I go back to City Lizard to climb the last 2 black boulders. The finals were great, we had lots of fun and enjoyed being there. The first two boulders were easy and lovely. I finished them à vue. The next two were harder and a bit more complicated. There was one with a dino and that was difficult. After the dino, I was swinging so hard I couldn’t do anything but hang there and wait until I stopped swinging. Then I tried to put my feet on the wall and I almost fell. I solved this problem à vue too. The other one was in the overhang and there were loose balls hanging from it. The quick-draws the balls were hanging from were decorated with tinsel festoons. We had to grab the balls and swing over to climb over the edge. But I kept my feet stuck to the wall. I turned and pushed the next ball with my foot to make it swing so I could catch it. I did that one again à vue. The final battle was on the slab wall. It took me more than 4 minutes before I fell at the volume. So in only one attempt I used more than 4 minutes. The competition was great. 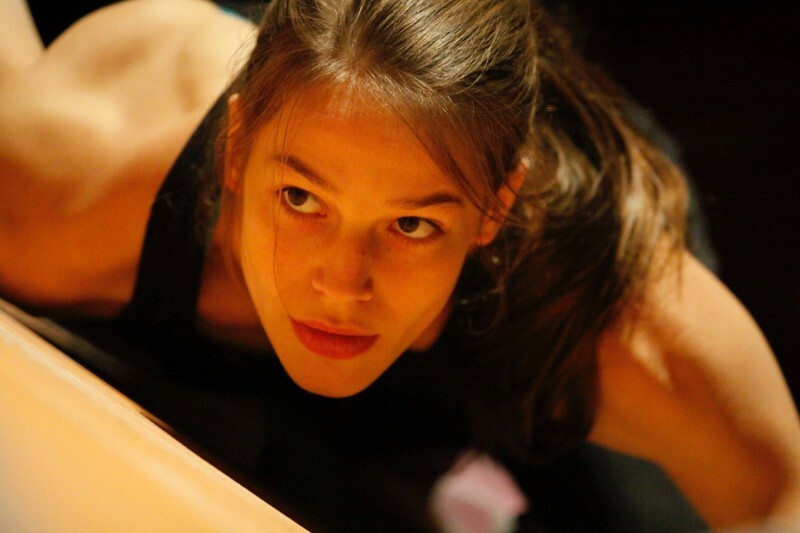 Chloé Caulier finished the last boulder problem but out of time in the first attempt. After the competition I went training there Tuesday. I warmed up and showed my dad the boulder with the balls hanging from the decorated slings. I did the problems from the finals again and then I went to the boulder on the slab. I had to work the last move out. I found a way eventually. I liked the route and I enjoyed climbing the long way to the top. It is technical and you have to keep your balance. When I topped it my dad wasn’t looking. I was upset. He didn’t see me doing it. He was talking to someone and wasn’t aware that I was actually climbing right in front of him. He always misses everything. I did it and I did some black routes too. I trained very hard and helped some other climbers. I had a great time and enjoyed myself.